Over 20K Members - become a comper today. We're on Facebook - befriend us today. Win More When You Join! 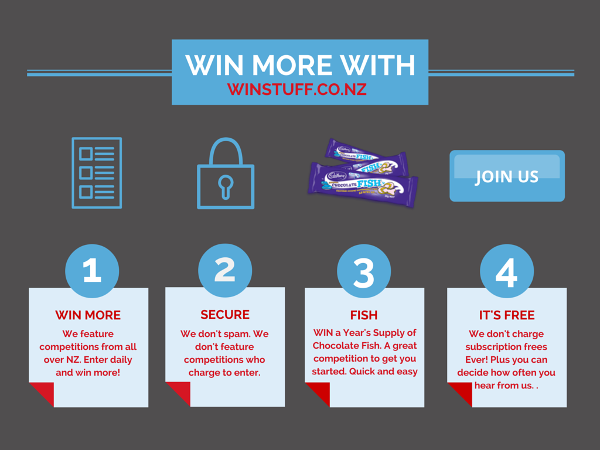 Copyright © 2001-2014 winstuff.co.nz. All competitions are run by their respective promoters. People who Enter More, Win More! * Enter into our draw to win a Year's Supply of Chocolate Fish!